Car camping has become so much more than boxy station wagons and blue Boy Scout neckerchiefs. These days, you can get a custom build-out for your Sprinter that includes ceiling vents and a propane range, roofs that accordion for more than 6 feet of standing room, spaces that are redesigned like a studio in Tokyo to compress the essentials of life into 100 square feet, enough to completely reimagine the terms of living. Yes, a “geoindependent” lifestyle is as attractive to us now as off-the-grid living was 20 years ago. It just so happens, in the internet age, that we can shift our lives to the road full-time. Whether you’re spending a weekend with the tailgate open or transitioning to a life on the road, you have needs, and we have a way to satisfy them with products new and trusted. Beyond, you know, the ability to go just about anywhere with a road at any time, cookware is perhaps the biggest freedom that a vehicle provides. Volume is still an issue in such a small space, though less so than for backpackers. Weight, on the other hand, is not a concern. Tell that to an ultralight backpacker, for whom the handle on a toothbrush is an intolerable extravagance. Fresh produce! 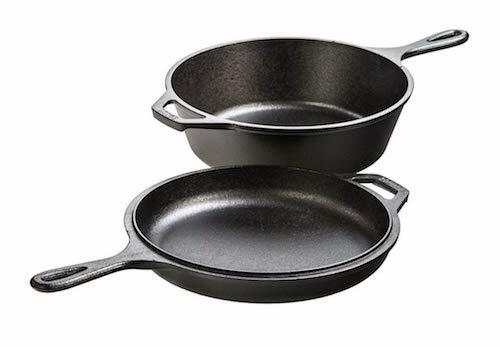 Cast-iron cookware! A propane stove with multiple burners! A Vitamix! Goodness gracious sakes alive! Car camping isn’t complete without a grill, and Camp Chef answers the call with a powerful two-burner propane stove that isn’t lacking for power. Two 20,000 BTU burners with kitchen-style modulation have, if anything, more cooking power than you need. With great power comes great responsibility, and you’ll want to be prepared with larger than the 1-pound propane bottles recommended. 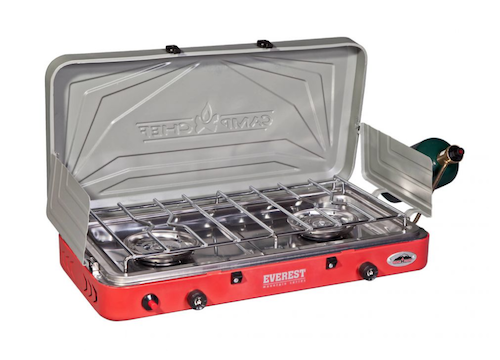 Like the Coleman camping stoves of yore, the Everest has a slender, storable profile, and it’s built to last. It’s heavy and cumbersome to handle, so why bother? Lodge's cast-iron cookware is low cost, it has a non-stick surface without potentially hazardous chemicals, but perhaps most advantageous for the backcountry: It heats evenly regardless of the cooking surface (meaning it’s campfire compatible), and it actually adds dietary iron to the foods that you cook in it. The fact that it will last for years, and build character with every seasoning, is merely a perk. If you can find it, you very well may want to buy cast iron used—you can save yourself years of seasoning time—but Lodge is family owned, based in Vermont, and has a tradition of caring for its employees. Cooking marshmallows over an open flame is half the fun, but perhaps you’re a perfectionist, or perhaps you’re worried about carcinogens. A cooking iron can solve both problems. 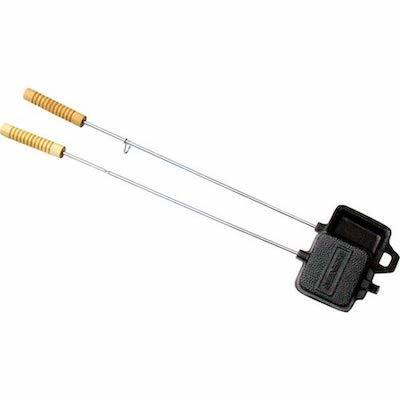 Like all cast-iron cookware, it’ll cook your s’mores more evenly and without the mess a stick-borne marshmallow creates. A campground without coffee is just as unacceptable as anywhere else without coffee. 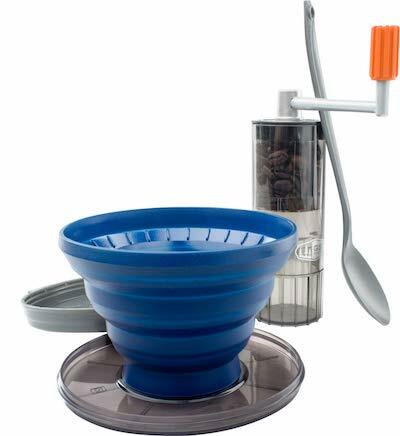 For those who prefer a pour over to start their day, be it on the trails or in the campground, the GSI Java Set offers a collapsible, compact cone to start your morning right. That it’s a polypropylene plastic is its biggest drawback, but such is the price for compact size and weight. The grinder, a nice addition for fresh grounds, is ceramic. Once upon a time, it was over the top to spend more than three figures on a cooler, but in the absence of more deliberate car camping setups it’s one of the most important investments you can make. 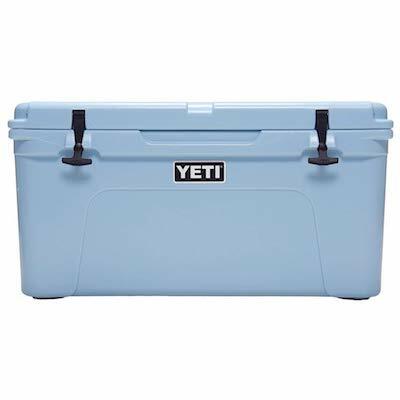 The YETI 65 isn’t new, but it still sets the standard—it isn’t out of the ordinary for YETI coolers to keep ice for up to 5 days. For those with mobility concerns, the Tundra now comes with wheels, too. Some purists may object, especially when noise is a concern, but you’d be surprised by the difference that small additions can make to your camp experience. Lights and music are unusual and unnecessary for many backcountry experiences, but again—we’re in a car! A little ambiance goes a long way. 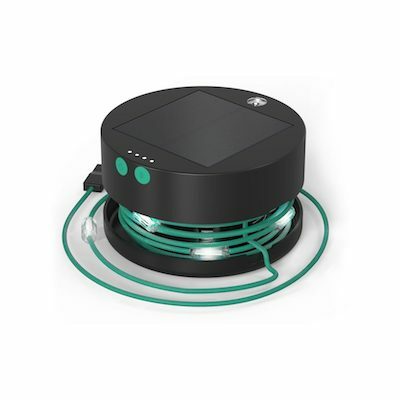 With a low power profile, a solar array to keep it off the grid and fully charged, and a large and adaptive footprint, Luci’s string lights lack only the ability to change the color. That is undoubtedly on its way, but in the meantime enjoy the cozy atmosphere, ambient lighting, and MPOWERD's dedication to sustainability and social justice. The biggest knock on the most recent update of the UE Boom series is its battery life and power supply. 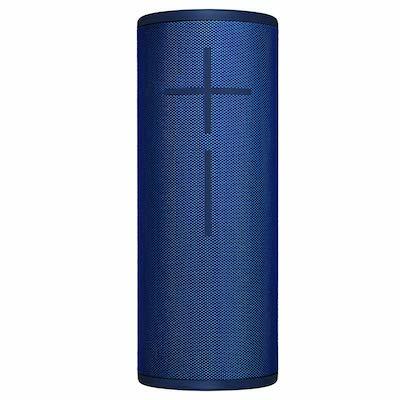 At nearly $150 a pop, the UE Boom 3 is already expensive for such a problem. Sure, you could downgrade to the serviceable JBL Flip 4 at half the price. Or you could upgrade to the Megaboom 3. Its added bells and whistles may seem like extravagances, but a rugged water-, dust-, and drop-proof speaker with best-in-class sound should have the power to make it worth your while, especially on the road. We like the Thermacell so much, we included it on our hiking and backpacking gear guide, too. The Backyard Bundle is best for car campers. 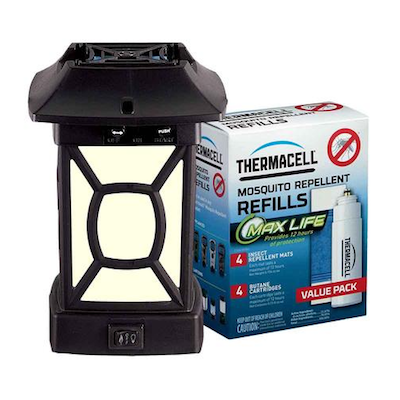 It has Thermacell’s Cambridge lantern and cartridge refills, which sets up a mosquito-free perimeter up to 15 feet for 60 total hours of use. Pleasing to look at and bright enough to read by, it may just become your summer car-camping essential. Car camping is energy intensive, and you should be prepared to power your devices without access to an outlet. In this day and age, more vehicles come factory-made with electrical outlets, but it’s far from standard. 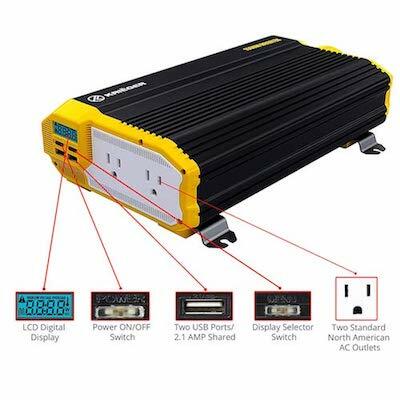 For those of us without access to outlets, an inverter is the only way to convert direct current, standard on most cars, to alternating current that electronic devices require. Krieger offers several durable, highly regarded inverters that provide up to 4000 watts of continuous power, but in the backcountry, what’s the point? The Krieger KR1100 covers most small appliances, like that God-given blender. That means breakfast smoothies! Nightmare scenario: You’re boondocking in canyon country without cell service, and suddenly the lights go out. Your dead battery is now deadly if you’re too far off the beaten path. 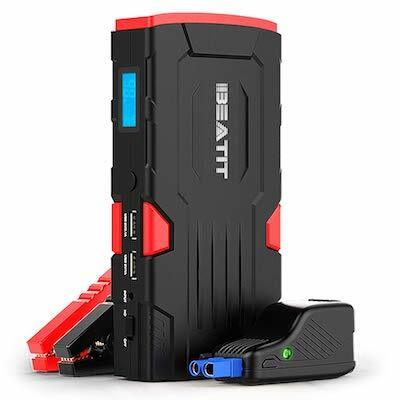 Those little jump starter kits used by roadside service are also commercially available, and Beatit’s 800-amp jump starter boasts the ability to jumpstart a car 30 times on a single full charge. It’s made overseas, but the price is right and so is the profile. The Beatit is compact, and it even offers USB ports for small electronic devices. 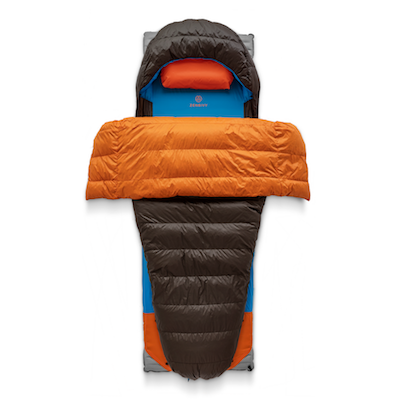 At its core, the Zenbivy is a backcountry quilt. But unlike the Rumpl blanket, the Zenbivy promises a kind of functionality that expands its use well beyond a backcountry blanket or bivy alternative. In a car, you might want to splurge on a bed setup that includes queen-sized inflatable mattresses and bedsheets you bring from home. More power to you. The ZenBivy, on the other hand, promises multi-purpose flexibility that you can bring to a backpacking trip as much as a roadside outing. Some assembly is required, which might frustrate some users, but the ZenBivy promises extra space to toss and turn in a profile that’s compatible with the air mattress you already use. Filled with responsibly sourced down rated to 25 degrees (10 degrees for the standard Zenbivy), it’s an ideal companion for vehicle-based excursions. The synthetic tent is more or less ubiquitous in outdoor recreation, but for car campers, we want cotton to make a comeback. Where the tradeoff for pack weight isn’t a concern, synthetic materials struggle to compete: Cotton breathes, better exchanging heat and moisture with the ambient atmosphere, it’s more environmentally friendly, and far more durable. Yes, the Kodiak may be a pain to set up, and at 68 pounds (68 pounds!) 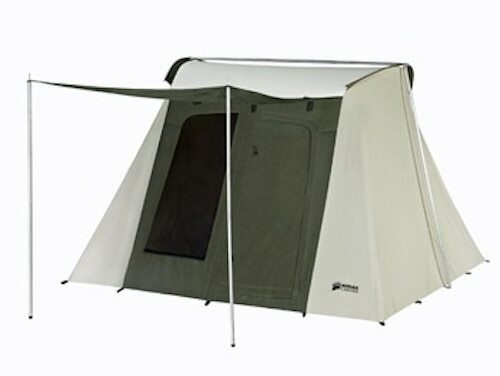 you could use it on a squat rack, but it is gorgeous, very well made, and sleeps up to six. Kodiak is a U.S. brand, and with care, the Flex-Bow will last a lifetime—and anyone shorter than 6 feet, 6 inches can stand up to their full height. 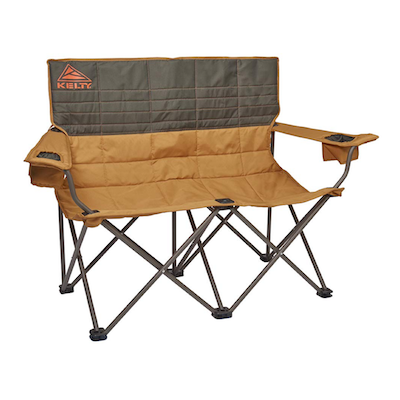 The best way for two people to relax that isn’t suspended from two tree trunks or floating on water, Kelty’s loveseat sits two adults (and two adult beverages) comfortably. The loveseat also folds down into a compact and storable profile. Keep your cuddle puddles to a party of two, please. Edward Abbey once wrote that the moon is the only disc you need to keep yourself entertained in the backcountry. Unfortunately, the moon only rises once a day. For those other times, a little help is warranted. 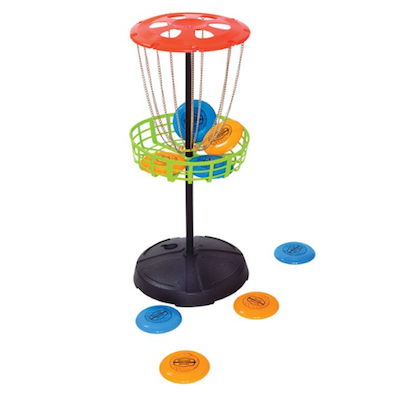 For those of us who don’t or can’t walk a slackline, Outside Inside offers a car-camper packable disc golf set to keep you and your family entertained. Cribbage is in these days. For those rainy campground days or quiet nights, cribbage is a fun, intimate game for two or more players. And there are myriad beautiful, customized cribbage boards to choose from. 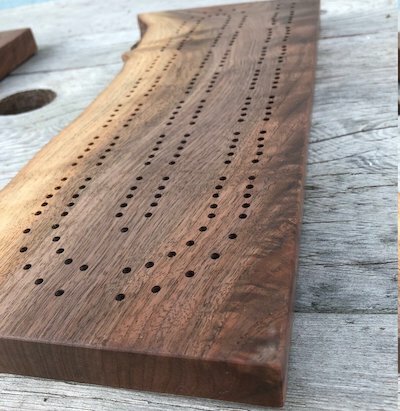 Like this beautiful $50 black walnut cribbage board offered and photographed by husband and wife creators twoplantswoodworking, you can find thousands of them on Etsy for a personal touch to your car-camping experience.